With the initial budget of USD 1 million, it gained 51 times more in 1985, which is around USD 100 million at the current time, as of 2016. Emilio Estevez was a rising star then and still, being 54-years-old, he didn’t manage to become one. What he is remarkable with – is his marriage to Paula Abdul in 1992-1994 and several nominations for his other film of 2006, ‘Bobby’. Once he stopped being adolescent, his time was really over. The same story is with Molly Ringwald, who was a star of several films in 1980-ies, as an ugly swan, but she never grew onto beautiful white bird. Eventually, her controversial beauty settled in Greece with Greek husband, whom she married in 2007 and lives happily since then. The matter of this film is what every motion picture for adolescents show – how people find friends, some of them fall in love, they’re having a good time and fighting with rules, set by older generations to their world. In the soundtrack, there is really none of the famous performers. 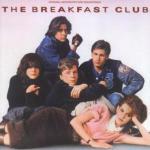 Don't You Forget About Me by Simple Minds is black-and-white picture on allegedly active song made for the younger generation of 1980ies, but definitely isn’t working for kids of 21 century. Fire In The Twilight by Wang Chung is rock having weak lyrics by white guy wearing sweater and looking similar to crossbreeding between Owen Wilson and William Sadler. Had this un-cozy appearance make him popular? No, certainly not. Another brainchild of 1980ies is Heart Too Hot To Hold, which is very distinctive product of its time, there’re no doubts. Its lyrics are fantastically straight and not giving birth to any emotions. Only if you are a lover of not too streamlined films of this epoch, you should watch it at least to remember, how it was then and how different things were from today.